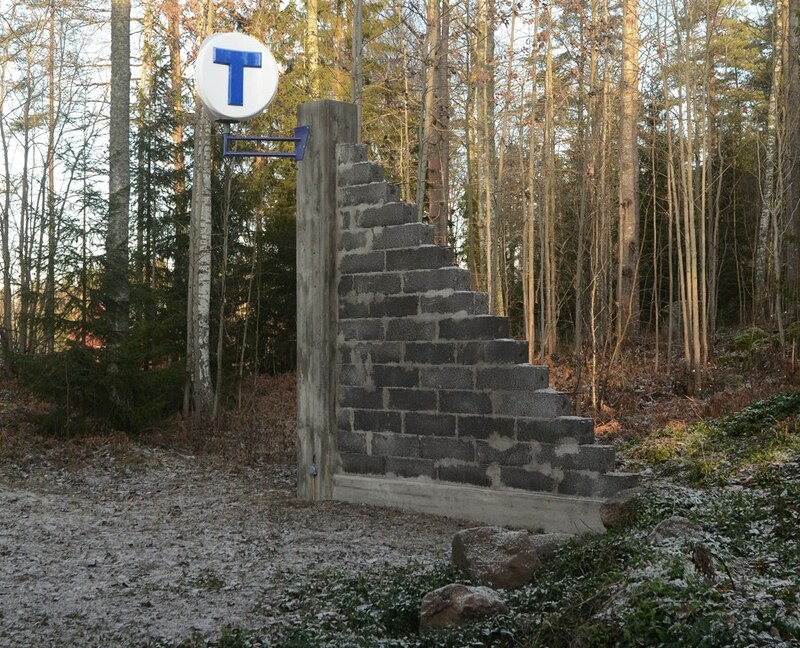 Persbo Studio invites one artist a year to create a new work for the Sculpture Park. The goal is to create a permanent collection that offers diverse and dynamic artistic explorations of outdoor sculpture. 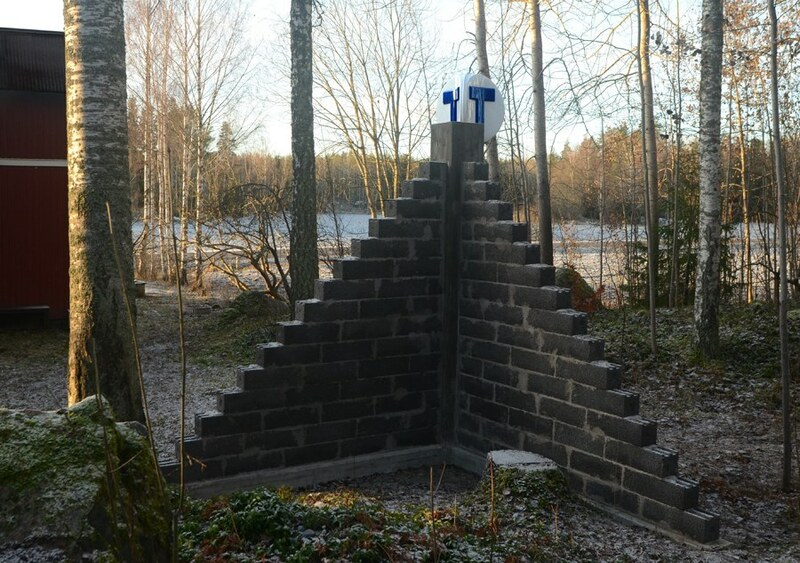 The selected artists reflect a wide varaity of the currents in contemporary art in both in Sweden and internationally.. 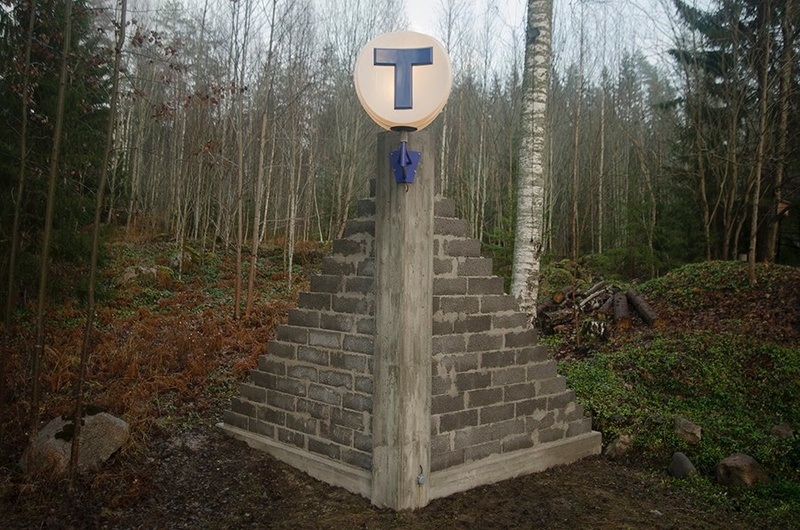 The Station introduces the idea of a new stop on the Stockholm subway system in the midst of the Uppland countryside; however the construction has come to a standstill and what remains is the end of a vision and the beginning of a sculpture. The monumental work vibrates between being the dystopic result of the dream of development and the tangible and symbolic qualities of a sculpture. By recreating the trivial, Strandahl mimics his way towards meaning. In his work, the artist employs an inexhaustible Suzuki-style method, paired with an intense curiosity in order to examine how the built environment is conditioned. An unavoidable and central exploration of Standahl's practice is how much can a self-contained individual accomplish and how much can that person unravel about the constructed world we live in. With his obsessive projects he brings, ever new perspectives on various phenomena, ranging from global production to domestic micro brewing. With his critically acclaimed piece, Kitchen, he reproduced a complete, functioning Ikea kitchen; including each of the “assembly-required” components down to the most basic elements that those parts are composed of. Strandahl went through the tedious process of hand making every item found in a kitchen; from creating his own particle board for the cabinetry, making ceramic coffee cups, casting utensils...and on and on. At first glance, this may be thought of as a pointlessly Sisyphean project, but in fact this type of inquiry has its own critical internal logic. Strandahl highlights the complexity and depth of the prosaic by dissecting the mundane and banal and then going through the onerous process of reconstruction. The Station, is an ode to visionary hubris conflated within a sincere meditation on humankind's ability and belief.